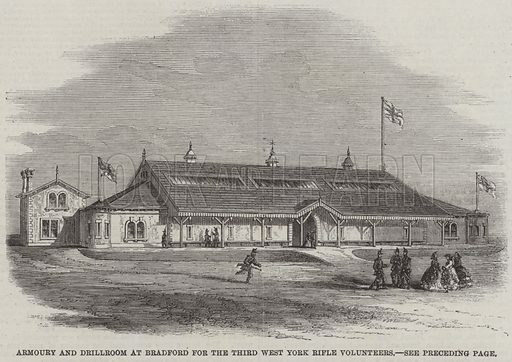 Armoury and Drillroom at Bradford for the Third West York Rifle Volunteers. Illustration for The Illustrated London News, 14 December 1861. Available worldwide for immediate download up to 4,756 x 3,364 pixels.